Essential oil starter kits are the best way to get familiar with oils if you are just starting to use them. Kits are also amazing even if you’ve been using oils for years because buying them in bulk gets you a discount and who doesn’t love saving money? Most kits have smaller bottle sizes like 10ml or 15ml. If you use a particular essential oil every single day and for many purposes, then you’re better off getting a large single bottle of that oil. Here is a roundup of the top kits you can get to sample a great variety of essential oils. Plant Therapy is the most affordable and high quality essential oil brand, so it’s a great one to start with if you’re new to essential oils. They also offer a wide variety of starter kits for to choose from. If you’re unsure of where to start, you can go with the their most popular kit that includes their 6 best-selling oils. These most popular oils are Eucalyptus, Lavender, Orange, Peppermint, Lemon and Tea Tree (also called Maleluca). If you’re really excited about essential oils and want the widest variety and save a bunch of money then getting this expanded most popular essential oils kit is a fantastic deal. The kit comes with 7 of the most popular single essential oils (meaning just a pure oil like Lavender oil) and 7 of the top synergy blends (blends of multiple oils). The singles included in this kit are Lavender, Tea Tree, Sweet Orange, Peppermint, Lemon, Cinnamon and Eucalyptus oils. The synergy blends are Germ Fighter, Immune-Aid, Tranquil, Invigor-Aid, Sensual, Relax and Energy. They also have a fruity essential oils kit if you love tropical and citrus scents. This kit includes Sweet Orange, Pink Grapefruit, Lime, Lemon, Tangerine and Mandarin oils. This Plant Therapy kit includes essential oil blends that are focused on specific health benefits. Plant Therapy calls all of their blends “synergy blends” since they formulate them to include oils that balance each other and provide synergistic benefits. The kit contains: Germ Fighter, Immune-Aid, Respir-Aid, Blues Buster, Eucalyptus and Oregano oils. The Germ Fighter blend is made by combining Lemon, Clove, Eucalyptus, Cinnamon Cassia, and Rosemary essential oils. Some of these oils include antimicrobial properties to help you fight off the germs. This is great for when you’re traveling or at work and the whole office is sick. The Immune-Aid is a blend to help boost your immune system when you’re feeling run down and it includes Frankincense, Tea Tree, Rosemary, Lemon, Eucalyptus and Sweet Orange. The third synergy blend in this kit is the Blues Buster which helps boost your mood when you’re feeling down. Blues Buster combines Tangerine, Geranium, Grapefruit essential oils. Plant Therapy worked with the expert aromatherapist Robert Tisserland to formulate essential oil products that are safe for children. These products were created since so many parents were looking for oils they could trust to that would provide more natural remedies to common issues. They offer 2 types of kid safe kits. One type is a roll on kit where the oils have already been diluted with coconut oil and are ready to be applied directly to the skin. The oils in the other kit are undiluted and cannot be applied directly to your child’s skin. The reason there is an undiluted version of the kit is because you might want to put the undiluted oil in a diffuser and diffuse the oils into the air in your child’s room. You can also dilute the oils yourself to create your own sprays, creams and other DIY products at home. The kit includes blends of essential oils with specific purposes. The blends are A+ Attention, Germ Destroyer, Immune Boom, Nighty Night, Sniffle Stopper and Calming the Child. Plant Therapy also has an option to get a diffuser in a kit with the undiluted oil starter pack to get you everything you need to start diffusing oils in your child’s room. Rocky Mountain Oils (RMO) is another great brand to buy oils from because they are very transparent with the quality of their oils. They even have a cool tool on their website to check the batch number on your bottle of essential oil that you bought from them and see the full batch test report with all the details of the ingredient quality. This is a more expensive brand so if you’re on a budget then Plant Therapy might be better for you. This kit includes their best sellers which are Lavender Bulgaria, Lemon, Peppermint and Tea Tree Oil. This kit doesn’t quite get you the variety of some other kits but it will get you high quality oils at a lower price than you can buy each individual bottle from this brand. Have aches and pains or want to fight health problems a more natural way? This kit was created to give you blends to help your health and give you a sample of the top blends offered by the company. It includes Immune Strength, Citrus Blend, Purify and First Aid. Purify is made from Lemongrass, Tea Tree, Rosemary, Lavender, Myrtle and Citronella oils. This blend is for cleaning the smell of the air to eliminate smoke or other odors. It also can be used as an insect repellent. The First Aid blend is a little misleading since it’s not described by RMO to be used for cuts, scrapes or other situations where you think of first aid. RMO describes its uses for helping with hair, skin and nail support as well as to reduce the appearance of scars. The blend combines Rosemary, Tea Tree, Clove Bud, and Helichrysum italicum essential oils. There are a ton of brands out there and different kits to choose from. 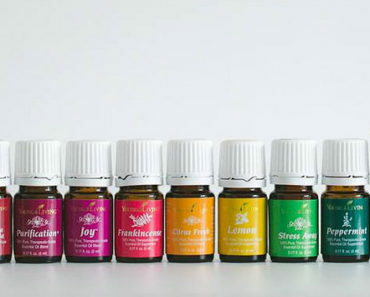 If you are just getting started with essential oils then it’s good to begin with the most common oils since they smell great and have many uses. If you are seeking essential oils for a very specific health purpose or goal then make sure the oil you want is in the kit or just buy them separately. Not all oils are created equal and many of the super cheap starter kits do not have high quality oils. Both Plant Therapy and RMO provide a lot of information about their quality testing and are pretty transparent which makes them great brands to buy from with peace of mind.